Julesburg, Colorado, has the unusual distinction of existing in four different locations. The current and fourth Town of Julesburg, advertising itself as the “Gateway to Colorado,” is a pleasant community of about 1,200 persons. It is located on the South Platte River Trail, which provides a driving tour of all four Julesburgs and adjacent points of interest. When Will Braddock arrived at end-of-track for the Union Pacific Railroad in 1867, he rode down the dusty streets of the third Julesburg, the “Wickedest City in the West.” My description of Julesburg in Eagle Talons, The Iron Horse Chronicles—Book One comes from the newspaper reporting of Henry Morton Stanley—the same Stanley who later uttered: “Dr. Livingstone, I presume?” Stanley’s great fame as an African explorer came later, but in the late-1860s he traveled the West reporting on peace treaty meetings between the US Army and the warlike Indian tribes. He traveled on the new Union Pacific Railroad in 1867 and marveled about moving rapidly over the tracks from Omaha to Julesburg at an average speed of nineteen miles per hour. 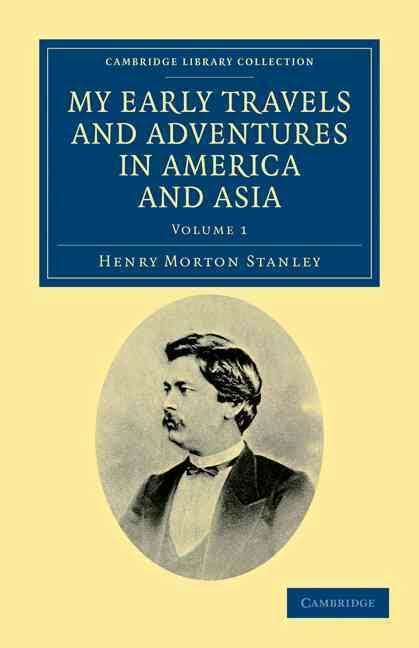 His reports are preserved in Volume 1 of his autobiographical book My Early Travels in America and Asia. Julesburg was established in the 1850s as a trading post on the south side of the South Platte River in the northeast corner of Colorado. In 1859, Julesburg became a station for the Overland Stage Company and subsequently Wells, Fargo & Co. From April 1860 to October 1861, the town provided the only Colorado station for the Pony Express. The US Army brought troops to the area in 1864 and established what became Fort Sedgwick. The incident that caused the demise of the first Julesburg occurred in early 1865 when 1,000 Cheyenne, Arapaho, and Lakota Sioux Indians burned the town to the ground in retaliation for the Sand Creek Massacre. The townsfolks rebuilt Julesburg four miles to the east of Fort Sedgwick. A suspected reason for the increased distance from the fort was to place the town limits outside the boundaries of the military reservation so liquor could be freely sold. This second Julesburg lasted only two years. 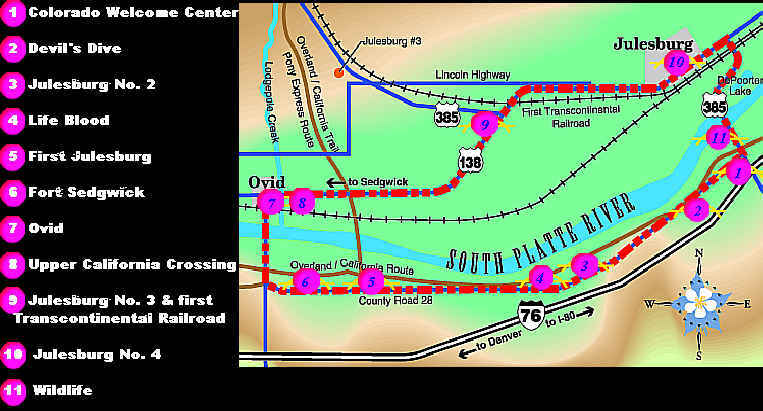 The Union Pacific Railroad arrived on the north side of the South Platte River in 1867, and the residents picked up everything and moved across the river to be next to the rails. The Union Pacific Railroad served as the catalyst for relocating the town in 1881 to its present and fourth location when a branch line south to Denver diverged from the mainline at a place then called “Denver Junction.” In 1886, the citizens renamed the town Julesburg when the Post Office Department requested a change to avoid confusion with another location bearing the same name. This entry was posted in Army, Eagle Talons - Book One, Geography, Indians, Iron Horse Chronicles' Characters, Stagecoaches, The Iron Horse Chronicles, Trails, Transcontinental Railroad, Union Pacific and tagged Adventure Fiction, Eagle Talons, Fictional Character, First Transcontinental Railroad, Frontier Fiction, Historical Fiction, Middle Grade Fiction, Museums, Pioneer Life, Teen Fiction, The Iron Horse Chronicles, Trains, Western Fiction, Westward Expansion (1867-1869), Will Braddock, Young Readers. Bookmark the permalink. Very informative post. Colorado is rich in history, is it not? Your historical accounts are arguably the best!